It doesn’t matter if it’s memory foam or spring, if it’s a single a double or a king, it’s important that you store your mattress properly. Clean it, wrap it, and lay it flat. But cleaning a mattress is easy enough, you just want to take a vacuum to it first to get all the dust off. Then if it has a cover take that off and get it in the washing machine, if not just spot clean anywhere that looks dirty with some soapy water and a sponge making sure not to use too wet a sponge. Then leave it to dry and you’re good to go! 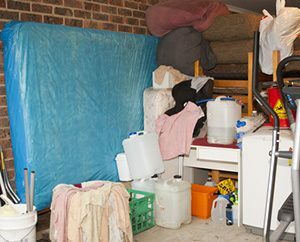 Make sure it’s fully dry before you move on, if you’re pushed for time just vacuum it and cut out the water part because wrapping it when it’s wet could mean it goes mouldy. You can use something breathable like towels or sheets but I prefer a more thorough protection of plastic. 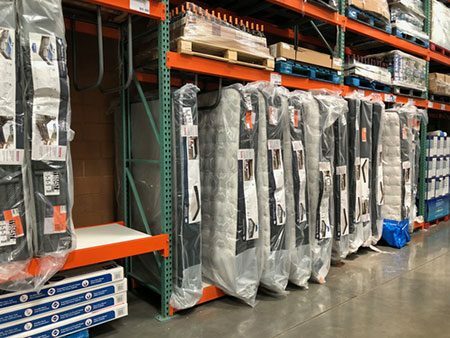 You can buy mattress storage covers (make sure you get the right size) or you can use any sort of heavy-duty plastic wrap you might find for sale at storage facilities. Now when you’re wrapping it make sure the whole thing is covered, no gaps for anything to get in and then use a load of tape to seal it together when you’ve finished. That way absolutely nothing can get it and it will stay completely clean of dust. If you can, try and get in to unwrap and air it every three months or so. I’m sure that’s not easy if you’re needing to put the mattress in storage then you probably won’t be around to do it but if you can do it it’s worth it. Next comes actually storing the thing. Now I’m sure you didn’t want to read this but it’s best to lay your mattress flat when you store it, particularly if it’s memory foam because it could get a crease on it if it sags over. But I realise you probably don’t have enough space to lay a whole mattress flat on the ground without putting anything on top of it, especially if you’re paying for self-storage. And I would much rather you stood it on its side than started putting boxes on top of it which will ruin springs or memory foam. So just make sure it is flat against the wall and prop it up so that it stands totally straight without it being squished. Besides shops stand their mattresses on their side so it can’t be that bad a thing to do. Or the final alternative which is to dispose on your mattress now and then get a new one when you need it again.